Home / So What Can I Do? Have you ever wondered who is controlling the world? Why we are stuck in debt? If it really matters if we vote or not? If it is good or bad to vaccinate? 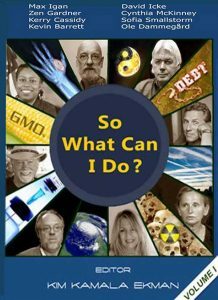 What GMO’s and geoengineering are? In this book you will get amazing answers from renowned researchers from around the world, as well as their perspectives on many different and interesting topics.